Botox, or botulinum toxin, is most commonly used to relax or improve the look of wrinkles around the face and is not to be confused with fillers, which add body to tissue and can completely diminish unsightly lines. It is able to temporarily stop nerve activity in the surrounding muscles, which causes a reduction in muscle activity. Although it’s known to improve almost all types of wrinkles – it’s most effective on dynamic wrinkles. Dynamic wrinkles are the ones that haven’t set and are the type that only show up when you’re moving your face. Botulinum toxin, which comes from the bacteria that causes botulism, has been used for medical purposes for over 50 years. It was first used to correct lazy eye and then for blepharospasm, the inability to move the eyelids. 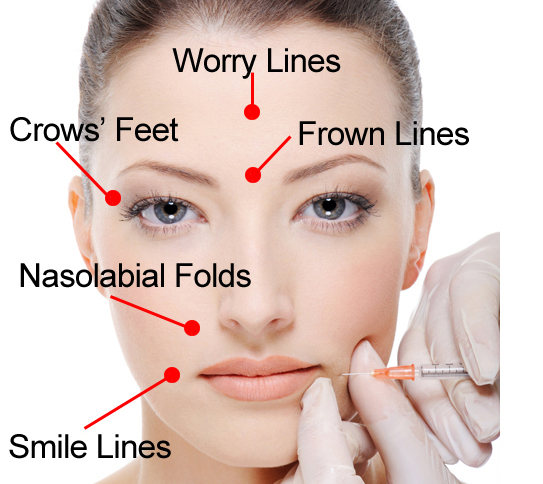 More recently, in 2002, Botox was approved to relax and improve frown lines found on the forehead. In the past 15 years, Botox usage has become much more diversified – it’s now approved to eliminate hyperhidrosis, or excess sweating, to help control muscle spasms and to treat migraines.